The Campo Pequeno Arena in Lisbon is one of the most spectacular buildings in Europe. Built in 1892 as the main bull ring in the city, it is an architectural icon with its circular floorplan, large octagonal towers, oriental shaped domes and horse shoe windows. However, by the year 2000 the building had fallen into disrepair and was prime for refurbishment. It needed to be restored sympathetically but also in such a way that made the building practical for a modern city’s needs. 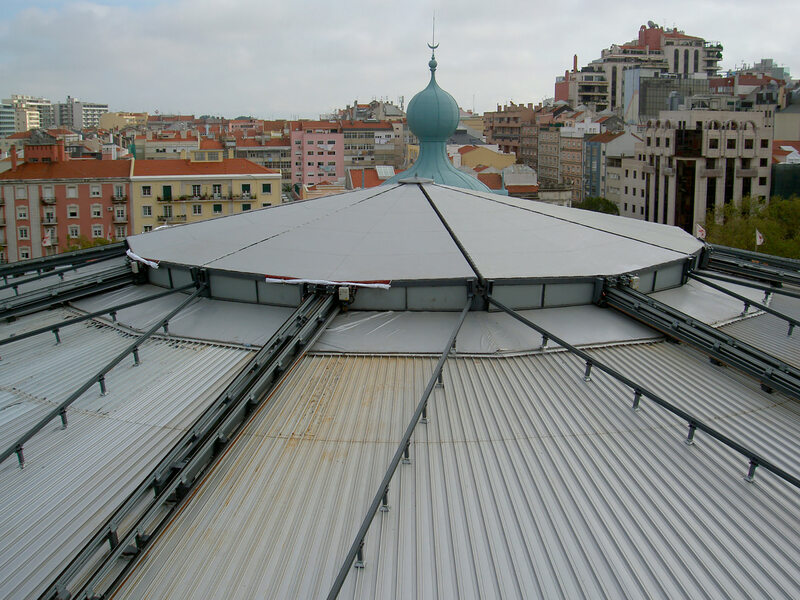 It was no longer financially viable solely as a bull ring and so refurbishment designs were approved for a roof for the first time in the building’s history; retractable for traditional bull fighting displays but that could close for concerts and other events. To achieve this, the opening roof needed to be robust, deliver high capacity and reliability, but also be dynamic and contemporary in design and aesthetics. SERAPID was instructed to realise the brief and make the architectural kinetics a reality. The result is a central 36 metre diameter section of the roof, comprising six segments each weighing 7 tonnes, that can slide into precise positions using horizontal movement. 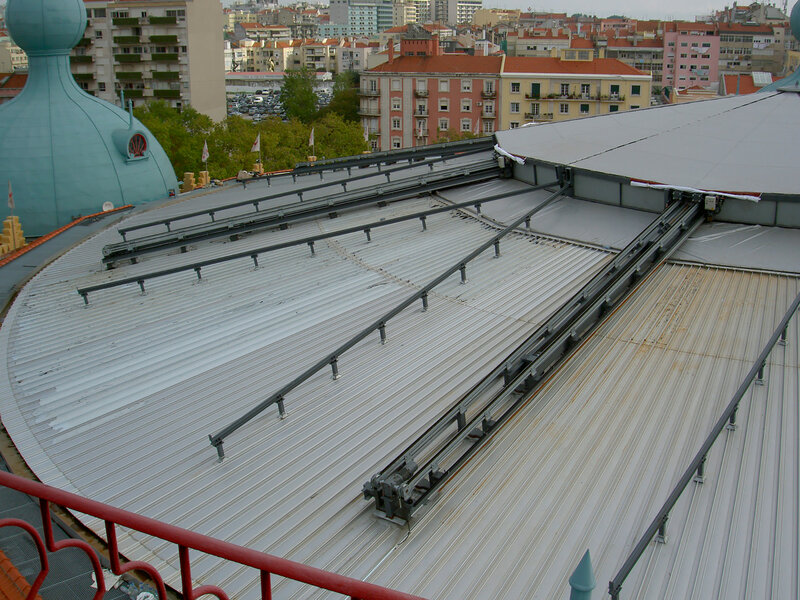 Installed easily, SERAPID’s LinearBeam actuators make light work of moving these seismic structural elements. The non-hydraulic, electro-mechanical technology works using SERAPID’s rigid chain pull-push technology that was adapted for the project so that it could operate outdoors with very low maintenance.